Richard Blythe wrote one of the essays in this book, considering the work of TERROIR in the context of the history of Tasmanian architecture. In particular, Richard referred to the work of Michael Viney who was a mentor to TERROIR Director Gerard Reinmuth and who's work has had a strong influence on the way we address landscape in our work. Michael's own house in Hobart (1975) is pictured opposite. This book accomanies the exhibition of the same name held by the DAZ in Berlin in September 2007. 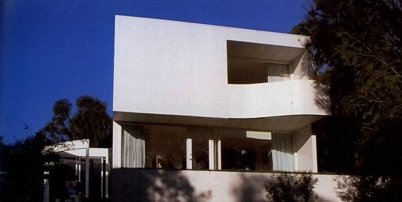 Perren, C, Ring, K. Living the Modern: Australian Architecture, Hatje Cantz. Germany. 2007. pp. 31-34, 167-172.